Let me root, root, root, for the CUBBIES!! Big C is going to be having his first over night with Grammy and Papa so that Curt and I can root, root, root for the Cubs this weekend. This will be his first over night.....yes, I realize that he is a year and half.....cut the cord already! Well, I'M TRYING!! 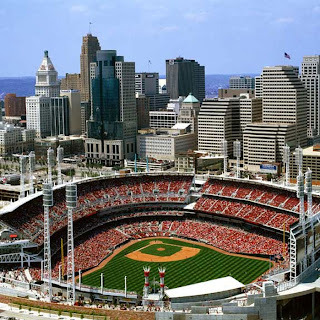 We are going to be going to the Great American Ballpark in Cincinnati, Ohio to see the Reds play the Cubs. I'm actually really excited to spend some special alone time with my hubby to ROOT ROOT ROOT for the cubbies! Have fun at the game! We are going to root, root, root for the Reds at my house! yahoo! what a fun date weekend!